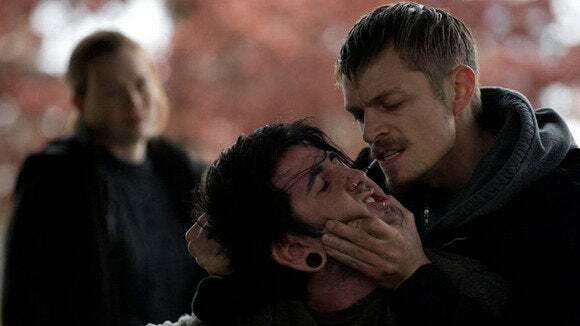 After two seasons on AMC, The Killing got canceled. Then it returned for a third season, thanks to a deal with Netflix, only to get canceled again. But The Killing hadn’t run out of lives just yet—a week ago, the six-episode fourth season arrived on Netflix, bringing the series to an official end. You know, just like it had ended the previous two times. Should you bother with the this-time-we-mean-it finale of The Killing? And, since Netflix hosts all four seasons of The Killing, is it worth watching the show from the start now that end is nigh? Let’s get the bottom to each of these mysteries. First, there was a Danish show called Forbrydelsen. I’m told it’s very good. Luckily for me, AMC made an English-language version, thus protecting me from the terrifying experience of having to read subtitles. The US version is set in Seattle and starts with two homicide detectives investigating the death of a teenager named Rosie Larsen. Things get complicated, and the investigation takes up two entire seasons. Veteran homicide cop Sarah Linden (Mireille Enos) and loose cannon Stephen Holder (Joel Kinnaman) show off the TV cop’s standard inability to wear a necktie properly. The two detectives are, as is fairly common in this genre, a mismatched pair. Sarah Linden (Mirelle Enos) is experienced, taciturn, and starts the series one day away from leaving Seattle forever. She’s joined by Stephen Holder (Joel Kinnaman, who you might have seen in the 2014 remake of Robocop), who’s been working undercover with the vice squad. So while they investigate the murder, they have to become used to each other’s quirks. If this setup appeals to you, I also recommend the 1988 film version of Dragnet, which takes a somewhat lighter approach than what you’ll find in The Killing. Taking a single murder investigation and spinning it out for two seasons allows the show’s creators to pack in a lot of detail. After just a couple of episodes, the plot expands far enough to include a campaign for mayor. Things don’t get as crazy as they do in Twin Peaks (another show in which a Pacific Northwest murder gets investigated for a long time), but over the 26 episodes of The Killing’s first two seasons, there’s a lot of opportunity for things to get complicated. The cases in the third and fourth seasons aren’t as complex, but that’s bound to happen when the producers don’t know if they’re going to get renewed or not. Darren Richmond (Billy Campbell) is running for Mayor of Seattle and has no time for the intrusion of a murder investigation. Trust me: This is more interesting than most Seattle elections. When The Killing first aired, it made a lot of people very angry, largely because the first season ended without resolving the Rosie Larsen murder case. The showrunners insisted there was no reason to expect the investigation to take only one season, but they were apparently the only ones. That’s water under the bridge now that you can stream every episode of The Killing whenever you want. Watch the show in giant gulps of several episodes at a time, you might not even notice that you’re creeping up on the season finale The pacing makes much more sense when it’s not being unspooled a week at a time, because when you want to know what happens next, the next episode is already waiting for you. Holder plays by his own rules. And if that means occasionally pretending to be a vampire, so be it. Also—and this is something that will only bother people in Seattle—The Killing is not really very Seattle-y. It seems like every scene takes place in a rainstorm, which is actually fairly rare. Seattle has a lot of days in which it rains, but it almost never rains hard enough to require an umbrella. Canada—where the show is actually filmed—provides a pretty good simulation of Seattle, but it’s just not the real thing. I wouldn’t harp on this, but Seattle so rarely gets to be the setting for something, now that Frasier’s closed up shop. Homicide: Life on the Street times Seattle minus everything but one case. It’s good. The tone is a bit oppressive, because it’s dark and rainy all the time and there are times it seems like justice will never be served. But that’s good for a show like The Killing. It helps put you in the mindset of the detectives, who are fighting against seemingly insurmountable odds, political pressures, and even each other to solve the case. If you’ve already seen the three seasons that aired on AMC, you have only six new episodes to finish off the series. Knock them off in a pair of three-hour sessions and pat yourself on the back for a job well done. If you haven’t seen The Killing at all, start slow, with three or four hours at a stretch. That should take you to the end of Season One in three days, and then you can ramp up to watching all of Season Two and Season Three in a pair of nine-hour marathon sessions. The final season is only six one-hour episodes, so that should be a piece of cake to watch on your fifth day.